Sleep Apnea (cessation of breathing) occurs when the tongue and soft palate collapse onto the back of your throat as you fall sleep. This results in repetitive obstruction of the upper (pharyngeal) airway. Which can lead to restricted or completely impeded breathing. Further, this usually results in the following signs and symptoms; including poor sleep, daytime drowsiness, headaches and often disturbances to your loved ones sleep. Therefore, a typical night’s sleep (in a sufferer of sleep apnea) results multiple episodes of restricted breathing are possible. The first mode is to assess your quality of sleep and achieve a proper diagnosis. Firstly, for this to occur your Skygate Dentist and general practitioner work as a team to organise a sleep study. This is typically by referral, and generally preformed in a controlled environment. Moreover, a sleep study will allow the Skygate dentist and GP for a thorough diagnosis of the severity and the pattern of sleep disruption. More than just sleep disruption! In some cases of untreated obstructive sleep apnea, there is an increased risk of; cardiovascular disease (heart disease), high blood pressure, stroke and other medical risks. The diagnosis and management of OSA takes a multidisciplinary team (Dentist, Doctor). A medical or dental examination and sleep laboratory investigation is often the first mode of investigation. After consultation by the Skygate Dentist options for the treatment of sleep apnea will be discussed. One commonly mentioned treatment, which may be suitable for certain patients, is the use if a dental device called a mandibular advancement splint (MDSA). 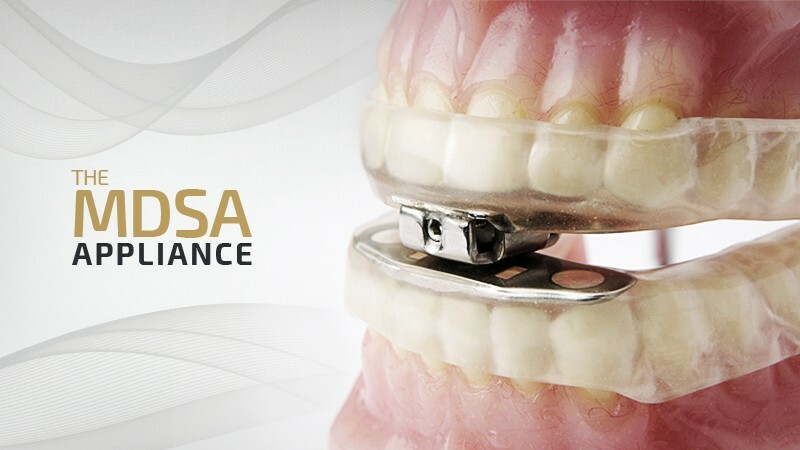 As a result the MDSA splint helps to position the mandible in a more anterior position. Therefore stopping the collapse of the oral-pharynx.